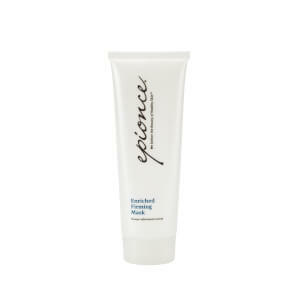 Protect skin’s natural barrier with the Epionce Renewal Facial Lotion; a hydrating formula that effortlessly massages into skin. Absorbing quickly, the lightweight lotion seeks to reverse visible signs of aging, such as fine lines, wrinkles and hyperpigmentation. The potent formula also combats loss of elasticity that is common in maturing skin, to leave the visage visibly firm and supple with an ultra-smooth and youthful texture. Suitable for all skin types but ideal for those with normal to combination skin, the Renewal Facial Lotion ensures the complexion is smooth, radiant and continuously comfortable. After cleansing, massage gently into skin until product is full absorbed. Use both morning and night. Apply 1-3 times daily or as needed. Water (Aqua), Butylene Glycol, Carthamus Tinctorius (Safflower) Seed Oil, Limnanthes Alba (Meadowfoam) Seed Oil, Cyclopentasiloxane, Glycerin, Petrolatum, PPG-2 Myristyl Ether Propionate, C10-30 Cholesterol/Lanosterol Esters, Polyacrylamide, Linum Usitatissimum (Linseed) Seed Oil, Glyceryl Stearate, PEG-100 Stearate, Cyclohexasiloxane, Beeswax, Bisabolol, C12-20 Alkyl Glucoside, C13-14 Isoparaffin, C14-22 Alcohols, Caprylyl Glycol, Cetyl Alcohol, Citrus Aurantium Dulcis (Orange) Fruit Extract, Cyclomethicone, Dimethiconol, Ethylhexlglycerin, Hexylene Glycol, Laureth-7, Lavandula Angustifolia (Lavender) Flower Extract, Lilnalool, Limonene, Magnesium Salicylate, Magnesium Stearate, Malic Acid, Manganese Glycerophosphate, Persea Gratissima (Avocado) Oil Unsaponifiables, Phenoxyethanol, Phoenix Dactylifera (Date) Fruit Extract, Phytosphingosine, Pyrus Malus (Apple) Fruit Extract, Rosa Canina Fruit Oil, Rutin, Sodium Hyaluronate, Sodium Hydroxide, Zinc Pyrithione, Zinc Stearate. I'm oily skin, this is good for me in winter.